Whether you’re just starting out in your handmade business, or you’re looking for new ways to use social media to your advantage, a hard launch may be just what you need. What’s a hard launch you ask? According to the Cambridge English Dictionary it’s when a “new product or service is made available to the public…in a way that is intended to attract a lot of attention”. 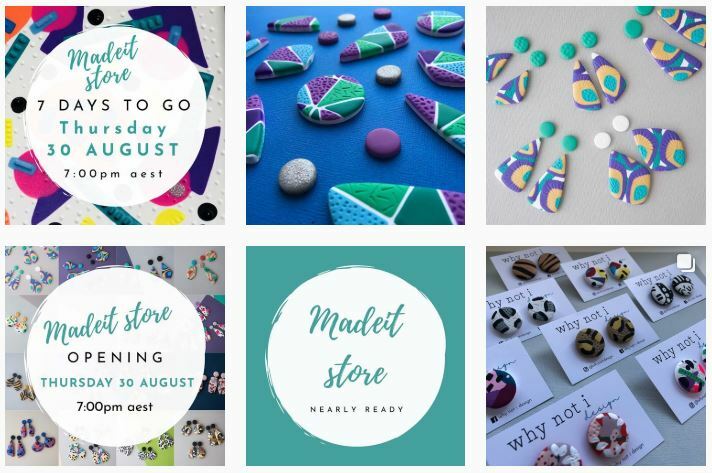 Soft launches, on the other hand, are quite common in the world of handmade, where businesses evolve rather organically out of hobbies, and products are gradually listed online, with little to no visible launch event. It’s also commonplace to list new products online as they are finished, so stores are drip-fed with new items. Of course, neither hard or soft launches are necessarily right or wrong, but after seeing the success one of our newer makers had with a hard-launch approach last year, I thought it would be great to pick her brain about what she did, how she did it, and what she attributes to her success. If you’re opting for a hard launch or a product release, social media is going to be your best friend. Create your accounts first and start sharing your brand story well before you launch in order to build a loyal following. 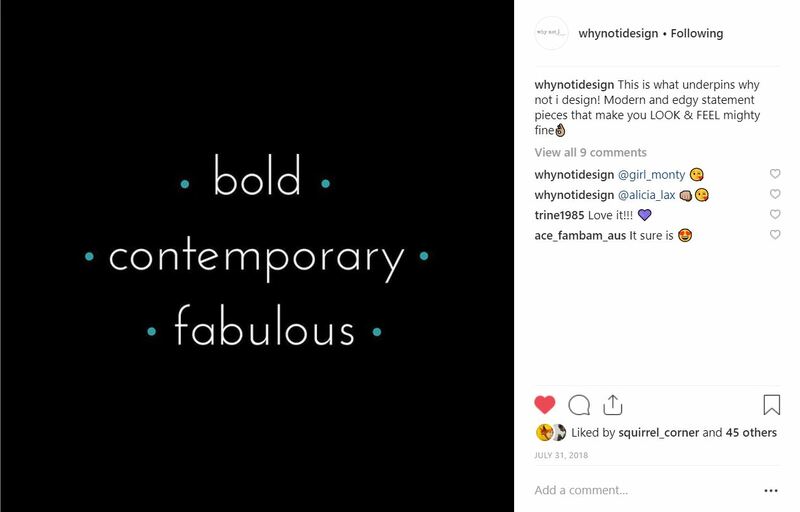 “I initially created an Instagram account for why not i design and then once that was up and running, I then linked it to a Facebook page. However, I am most active on Instagram. An initial investment in your product photos and branding will help you get off to a strong start. Particularly on visual platforms like Instagram, people want to see drool-worthy images in their feeds, so if you can splash out on some professional help to start, you won’t regret it. Build suspense by setting launch dates (with a specific time) well in advance. Check your social media stats to see what days and times most of your followers are online and try to launch or release products at those times. “Even though I knew I was weeks from launching, I made sure I was posting daily to every second day. I was conscious of trying to maintain a presence in my followers’ Instagram feeds to ensure I continued to engage their interest. Let people know at least a week in advance, then remind them closer to the date, and make sure you post on social media once the release / launch is live. This all helps to build engagement and will have your customers checking their watch on launch night so they’re the first into your store! Don’t give everything away before you launch. 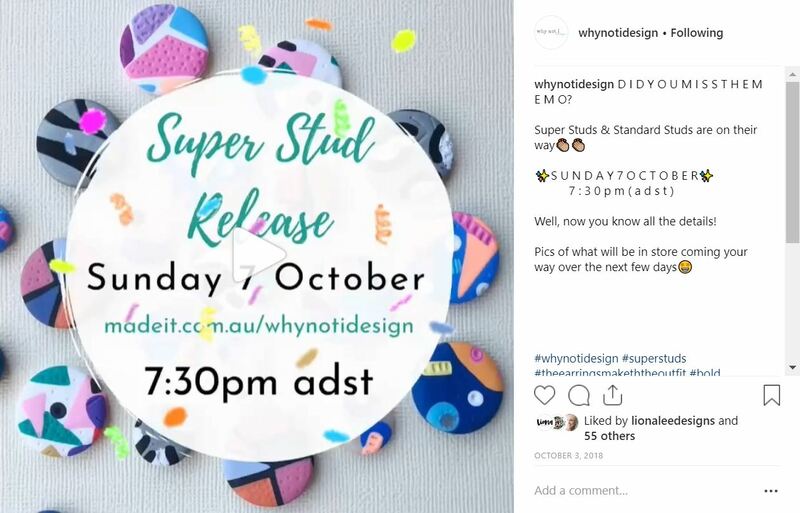 Give teasers… a little taste of what’s to come, but don’t publish your entire product range on social media before you launch or release a collection. This gives people a reason to wait for your release date to visit your store and see your entire offering. “With a lot of the images I posted prior to the launch, I was getting a steady stream of direct messages from people asking if they could make a purchase ahead of the store’s opening. I can’t tell you how amazing this sort of feedback was, especially so early on, but it also meant maintaining my stock levels would become difficult and I wanted a large quantity of items to list for my very first release. Define your brand identity before you start. Understand your ideal customer and brainstorm what type of content will appeal to them. Share more than just product photos – give a look behind the scenes, share quotes and humour that communicate your brand values: this will resonate with your ideal customers and help you build a loyal following. Don’t forget to give a bit of yourself. It’s not always easy as many of us are private creatures, but people shop handmade because of the people behind it. 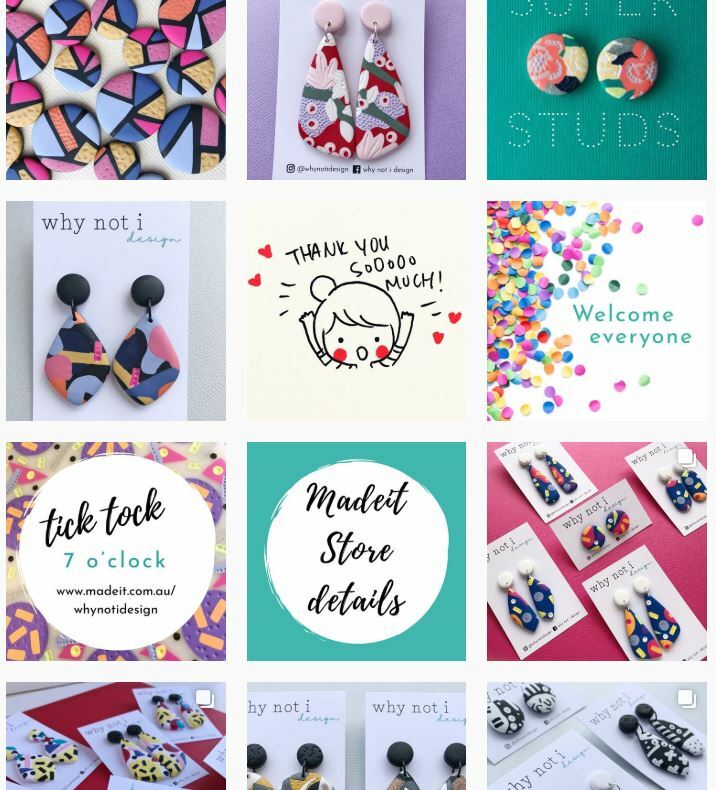 “Like many other creative business owners on social media, I ran a ‘Meet the Maker’ post which gave a small insight into me and my life. And despite the fact that I am incredibly uncomfortable having my face on the screen, I am occasionally making the effort to add some video stories. I feel I should’ve done this earlier than I did, as people genuinely like to ‘get to know’ the small business owners they support and I like the idea of humanising my brand. Your customers could shop with a faceless mega brand, but they’re choosing to shop with you – just like at markets, they want to engage with a real person and that means showing a little bit of who you are in your social media, and your product listings. Don’t be afraid to invest in yourself before you start. This investment may be just time; time to learn new skills. Being good at your craft is only one small part of your success so unless you’ve got the $$ to pay specialists to take on the other aspects of your business (like marketing) spend a little time building those skills. There’s loads of free information on the web and once you’ve made a start and have some revenue, make sure you spend some of it on skills development! It’s an investment rather than an expense. 6. Foster relationships with other creatives early on. There is a strong sense of community among makers and generally it’s a very supportive community. Take the time to build relationships with other people in your space and find ways to collaborate that are mutually beneficial. Lifting others up is also good for your own brand, and helping others where you can often pays dividends to your business in the long run, even if there’s no obvious immediate return. 7. Be ready to convince buyers and make sales from day one by investing time in your store setup. When preparing for a hard launch, make sure your store is looking fantastic before you set a date and time. Don’t rush the setup! You don’t have to labour over it forever… starting is important too, but make sure you put your best foot forward rather than slapping something together in 20 minutes because you’re impatient to see the sales start rolling in! Try to pre-empt customer concerns and questions and tell buyers everything they could possibly want to know about you, your product and your procedures and policies up front. It saves them having to search for information or ask questions via email. This reduces your workload and also improves the buyer’s experience because they have all the info they need to make a purchase decision… so that decision is more likely to be ‘Yes’! Comprehensive policies give potential buyers peace of mind and make them more likely to follow through with an order. They also make your responsibilities and those of your customers clear, so that everyone has reasonable expectations. This reduces the chance of disappointed customers because everyone starts on the same page. Nothing captures the attention of online shoppers better than eye-catching, quality imagery. Think of your product images as your store window… draw customers in from the ‘street’ to take a closer look by putting some effort into your product photos. “When preparing my listings, capturing decent images of my pieces was, and is, a priority. So I spent a bit of time experimenting with the use of a light box as well as snapping pics in natural light. 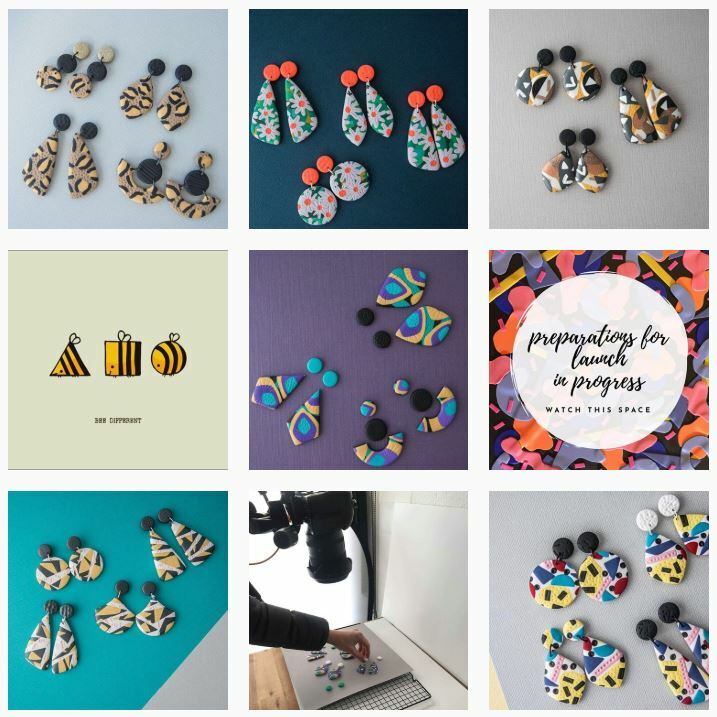 If you’re not sure how to do something, ask in support or hit up your fellow makers in the Madeit Sellers Facebook Group. Get them to look over your store and offer ideas for improvement. Showing gratitude to your customers and followers does wonders for a handmade brand – it reminds people that their custom and support impacts on real people. It makes them feel good shows that you know they could buy elsewhere and appreciate them choosing to support your business. 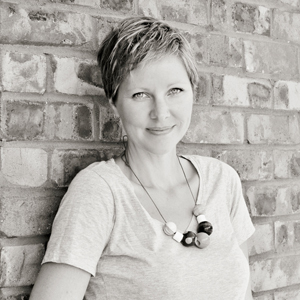 Rach has followed a similar hard-launch process for each new collection of jewellery. “Going in to this, I was deciding whether a regular ‘drip-feed’ method of stocking the store would be best or whether I planned for larger scaled releases, and it has only really worked out the way it has because of the way I create my products. I tend to do a lot of the making for days to weeks, then the rest of the process (drilling/sanding/assembling) is done later, so I tend to finish things off all at once rather that in little batches. So at this stage, the larger, less regular releases works best for me. Your social media followers are your ideal clients. They’re following you because they love your product and your brand, so letting them know each time you drop a new product pushes them back to your store to check it out… releasing products in collections allows you to stay front of mind without followers getting sick of seeing your products in their feed every five minutes. A third of Rach’s sales have occurred within 30 minutes of the store launch or a product release. 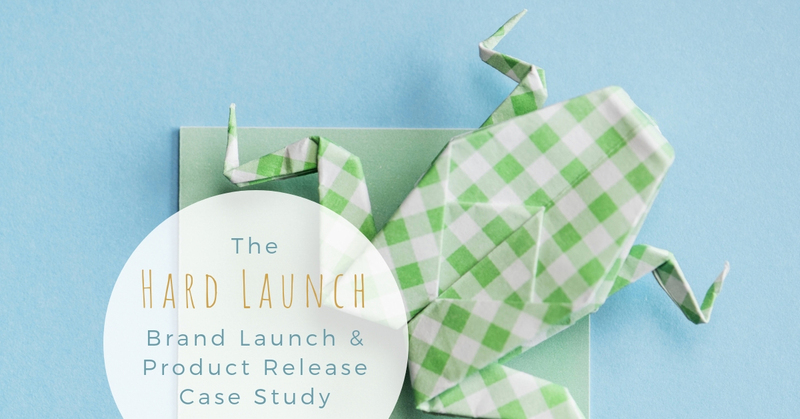 Nearly 70% of her total sales were made within 24 hours of a product release (including the store launch). That’s not only a positive indication that the hard launch is working for her business, but it also helps Rach better manage her time. “Because there has been a good few weeks between releases, it has allowed for plenty of time to start increasing activity on social media in the lead up to each one. So there you have it. A lot of the above advice also applies even if you opt for a soft launch and/or drip-feed product releases, but if you’re thinking of starting a handmade brand, or you are looking for ways to improve your marketing and work more efficiently, the hard launch seems to hold a lot of the answers! Have you done a hard-launch for your store or a line of products? Let me know in the comments if your thought it helped your handmade business.